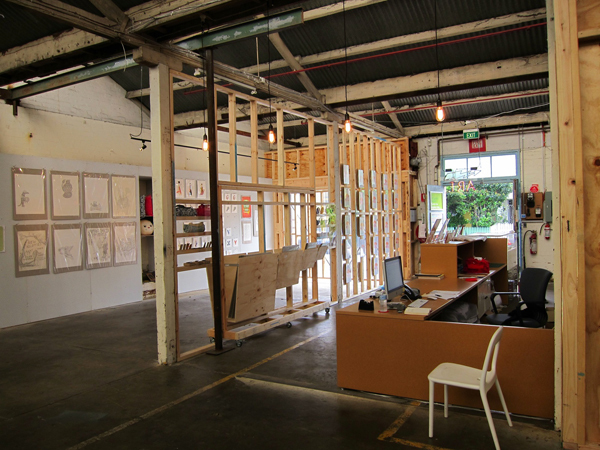 FK talks to gallery director and founder of the Jacky Winter Group, Jeremy Wortsman about gallery space Lamington Drive. 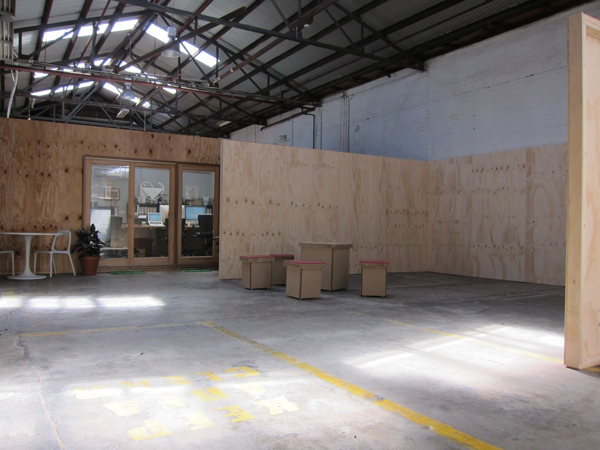 Tell us about Lamington Drive and what we can expect to find your new space. 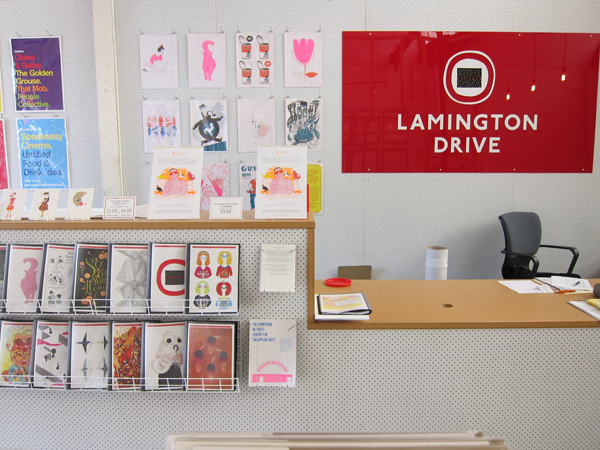 Lamington Drive is a gallery space and associated retail area which is run by The Jacky Winter Group. 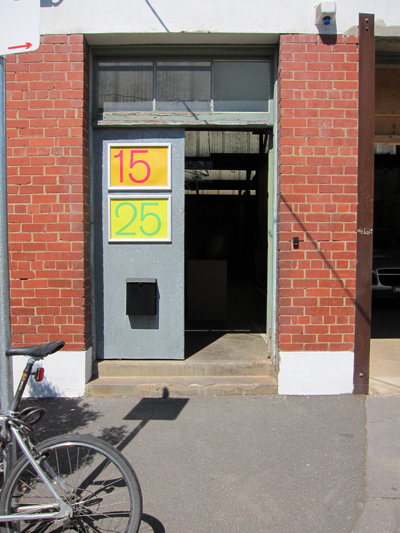 We are currently located in The Compound Interest, a new arts hub in Collingwood located at 15-25 Keele Street. What was the motivation on starting Lamington Drive and how has it evolved into where it is today? The gallery was started for a number of reasons. 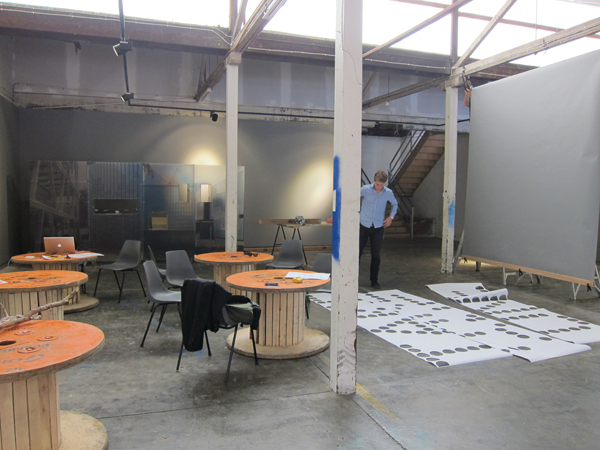 First and foremost, to have a space where artist from The Jacky Winter Group could have a venue for people to interact with their work in a different context other than seeing their work in magazines or ads. Secondly, to fill a void in the Melbourne gallery scene to view works that didn’t quite fit in a fine art gallery, but needed their own dedicated space that wasn’t a traditional ‘Shop’ per se. 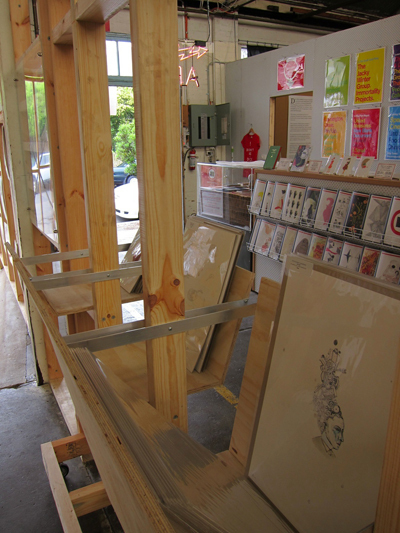 We have done over 30 shows in our three years ranging from things as simple as works on paper to live performances using mushrooms growing in petri dishes and also have our own fine art printing service and access to our in-house bespoke framer, United Measures, and most importantly, a dedicated and open stockroom where people can browse work from previous shows or other related merchandise in a dedicated space separate to the gallery itself. What do you love about your new suburb, Collingwood? Cibi! It’s like our second home now. Collingwood is definitely a loveable scoundrel, and is filled with contradictions. We’re in an area now thats slightly off the beaten path, and coming from the heart of Fitzroy on Gertrude street, its been an interesting change. I love the fact that we are sort of in a different area though, and the fact that there is a huge retail outlet strip nearby means that we get to attract a certain kind of audience that perhaps would not have found the work otherwise. At the same time, we’re still very accessible, and things in the neighbourhood are developing rapidly, and the area is becoming a magnet for more culturally vibrant operations and we are really happy to be a part of that. What was the direction with the space visually? 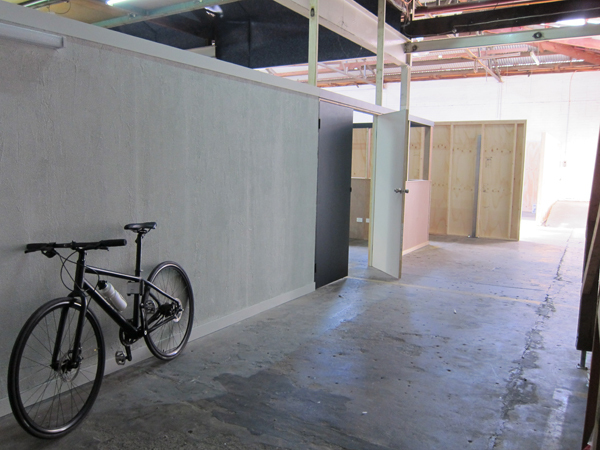 The gallery design reflects this grey area in practice between fine art and commercial art, and we deliberately used cardboard as a material to fit out the space to reflect the more tactile nature of the works. 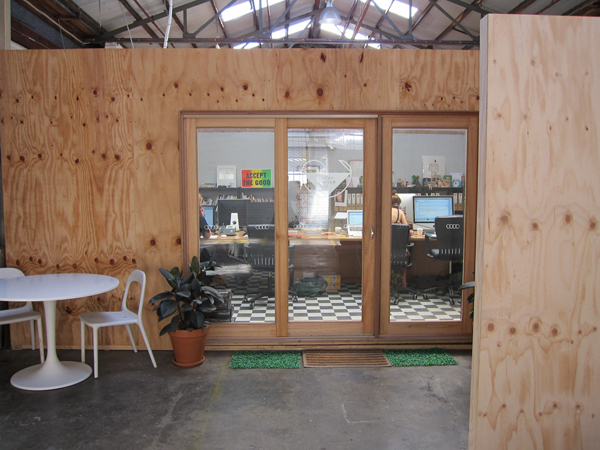 When we moved the space, we kept that aesthetic and even used the same dimensions as the old space as it worked so well. The identity itself was inspired by english road signs and typography as the name of the gallery came from my misunderstanding when I first came to Australia that Lamington Drive was actually a famous street. Who is the team behind Lamington Drive and what are their roles? I am the director of the Gallery and make most of the decisions in regards to programming. Skye Chapman, our fearless gallery manager does everything else! We also have a regular volunteer program which allows people to get some hands-on experience. What do you love most about working for Lamington Drive? What’s not to love! While my role is primarily spent with the agency, the gallery side of the business is incredibly fulfilling. You know that feeling where you’re about to start a new job or school is going to start the next day, and you can’t sleep because your excited and nervous? I get that every night, and I love it! It’s such a powerful experience to walk into a new show for the first time and just be hit by the space and the work, and just being able to provide that experience, and be a part of seeing a show come together from an idea to an actual installation, is such an awesome thing. What is unique about Lamington Drive, and how do you keep it that way? 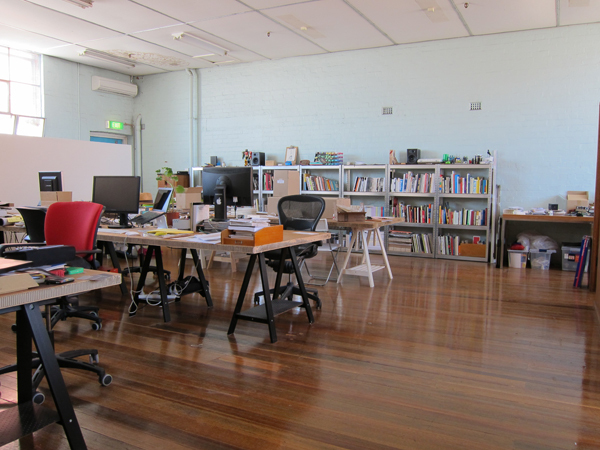 I like to think that we are an incredibly approachable space. We try not to take ourselves too seriously, but at the same time provide a cultural program of shows that is stimulating and intelligent ensuring to have a mix of experimental and traditional exhibitions and events. We purposely avoid group shows and try to focus on bringing out unique aspects of each artists individual approach, or to see the show as a project in itself. Furthermore we always try to keep the costs of work accessible to a younger audience, and the stockroom has really enabled us to do that in a new way. What don’t we have planned! We have two exciting shows from Sydney-based Greedy Hen followed by Neryl Walker. We will then announce our final 5 shows for 2011 which we are currently working on. There are some more exciting collaborations to be announced, including some new projects from Lamington Drive Editions, our publishing arm of the gallery, for which we recently published the Design Files Neighbourhoods Calendar. There is also the talk of opening a smaller project space, and just further collaborating with more international artists and other like-minded folk. We also opened a new lecture theatre space in The Compound Interest so we can hopefully do some artist talks and workshops as well. We always announce these things through our mailing list which goes out about once a month. Please check days for opening hours, as the gallery is closed for one week between shows for bump in/out. I totally love the story behind the name ‘Lamington Drive’! It looks like a great place, I will have to visit when next I’m down that way.